BOSSIER CITY, La. 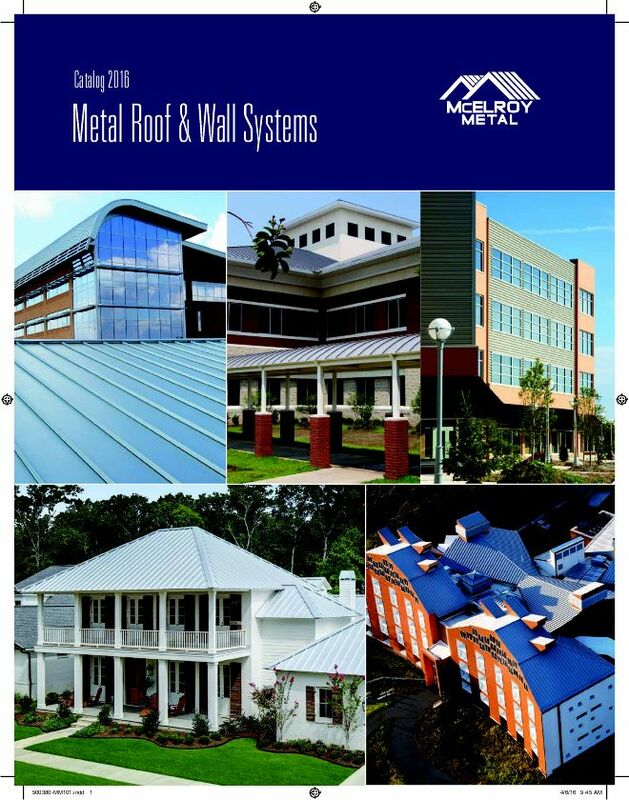 May 10, 2016 – McElroy Metal has released its updated 2016 Product Catalog, a 36-page roster covering the complete metal roof and wall systems line. The catalog can be obtained from a McElroy Metal representative or on the company website at http://www.mcelroymetal.com/products/color-charts-downloads?download=12089.